Promoter extraordinaire George Washington Kendall was born on December 29, 1881. As a young man he trained as both an ice hockey player and an amateur wrestler. It would be wrestling that stuck though, as he excelled in the amateur ranks of Montreal, Canada. Moving onto the professional level at the turn of the 20th century it wouldn’t take him long to make a name for himself when on October 24, 1902, under the name of George Kennedy, he defeated Max Wiley for a version of the Lightweight Championship. I would assume it was a local version or it could possibly have been the Canadian version. Roughly six months later Kennedy would drop that title to Eugene Tremblay. By no means was this a negative though. Kennedy, seeing the obvious potential in Tremblay, would retire from wrestling and take up as the manager/trainer for Tremblay as well as looking at getting into the promoting side of the business. The story goes Kennedy and Tremblay went to work for the Farmer Burns syndicate of wrestlers and toured the Midwest for them. George acted as a travelling trainer, publicist, and helping to relay messages to other promoters within the syndicate across towns. A better teacher to the inner-workings of the business could not be asked for than Martin ‘Farmer’ Burns. Not only was Burns a famed wrestler, he also appears to have been the main promoter for much of the late 1800’s and early 1900’s through-out the Midwest. 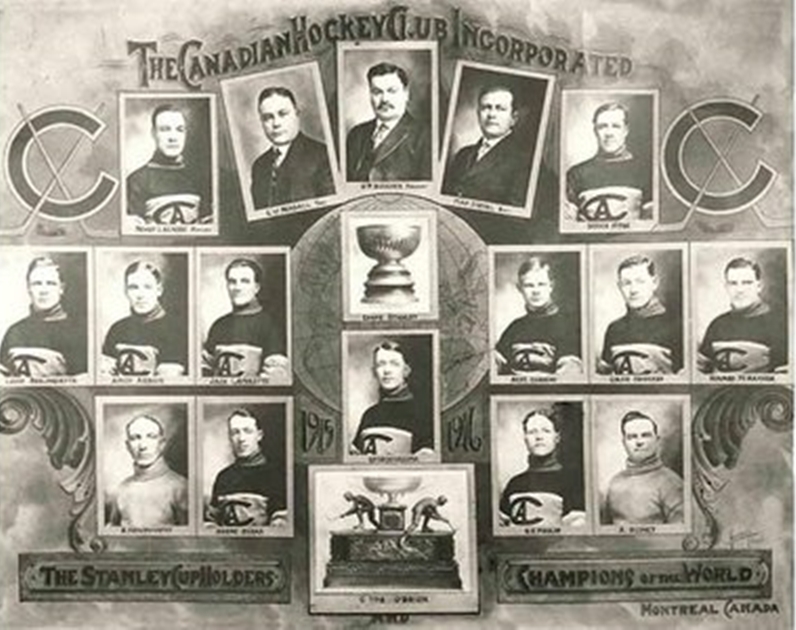 Kennedy quickly absorbed all the knowledge that he could, and by 1905 had acquired a business partner and established their own athletic organization up in Montreal, his hometown. They named it the Canadian Athletic Club. When you’re from Montreal it’s pretty much a given that you can speak French. And it was Kennedy’s bilingual abilities that really became one of his biggest assets. They allowed him to make strong connections in the surrounding Canadian areas. They also opened the doors to him traveling over to Europe where he could recruit talent. He’d be responsible for bringing some of the biggest names over to America from the continent including Constant La Marin and Raoul de Rouen. With them and others under his contract he could maintain strong talent trading relations with other promoters in America whose audiences loved seeing the foreign wrestlers go up against their homegrown heroes. George Kennedy was not just a sensation in the realms of wrestling though. Boxing matches would find their way onto Kennedy’s cards by 1908 and he’d continue to promote them reigniting interest in the sport that was still banned in the province of Quebec and many other areas. With his business ventures all just continuously increasing, it was wrestling that was still getting even more profitable for him. The landscape was changing in 1909 and new blood in the form of eager promoters were coming on the block. Together with four other promoters and Jack Curley heading up the operation, a new syndicate was born. With Kennedy’s influence overseas and in Canada mixed with Curley’s connections on the East Coast there was no stopping this new group of promoters. They quickly edged out the old Burns trust and moved their way to the forefront of the North American wrestling scene. While all of this was going on Kennedy also had his eye on getting an ice hockey team. After much plotting and conniving he managed to get his hands on the Canadiens. Under the control of Kennedy there would be some controversy when non-French members were added to the team, but for the most part they had some of their most lucrative and successful years with him guiding them from the helm as both owner and manager. Something he would do until his death. Over the course of the next several years up until around 1914 everything ran smoothly for Kennedy in all aspects. He ran regular shows from Sohmer Park in Montreal, something he’d done for years by this point. Connections with America stayed good and the trust known as the Empire Athletic Association would rule the wrestling world with not much contest from any other promoters. Things would start to crumble a little for the trust when World War I broke out in 1914 and relations with promoters over in Europe were obviously severed leaving a gap in the once rich talent pool. The trust dissolved shortly after, but all the promoters involved still had good relationships. Eventually others worked their way in as well, most notably the Stecher’s, Joe and Tony, and Gene Melady, creating connections with the already established promoters. With the wrestling scene going through some what of a quiet spell due to the on-going war, once again Kennedy decided to focus on further establishing his legacy within the Canadian ice hockey world. He and several other members of the National Hockey Association got together and decided it was time for a change. They worked together to eventually create the National Hockey League which would dominate over Canada from November of 1917. When business started to pick back up slowly, still nowhere near what it had been before though, Kennedy was struck with illness in the form of Spanish Influenza. Today we may think, “so what?” but back then it was a major problem. Over 3% of the world’s population fell victim and died due to it. There would be no quit in Kennedy and he continued to attempt to promote, manage, and live his normal routines for at least two years after first contracting it. As you would expect business did drop for him and it was clear his mind was not completely focused on the projects at hand, which is very forgivable given the circumstances. He kept plowing forward, refusing to slow down, and in March of 1921 he attended a meeting with over fifty major names from all aspects of the wrestling business. Together they implemented minor changes to the rules of wrestling, a small glimpse at what would be about to happen the following year. Unfortunately George Kennedy passed away in October 1921 finally succumbing to the Influenza. For the next hundred years Montreal would remain a constant hotbed of professional wrestling. There had been wrestling there before Kennedy, but it was minuscule in comparison and irregular. Once Kennedy was through with it any promoter that spent time in charge of a promotion based out of the French speaking city had George Kennedy to thank for it being an extremely generous money making area whether it was in wrestling or boxing and, well, his name will just simply never be forgotten in the annuals of ice hockey. It’s a real shame that he is not more well known in terms of wrestling. George Kendall Washington was easily one of the most important promoters in all of North American wrestling during the opening years of the 20th century. Daniel Bryan – Buried or Not, Here He Comes!